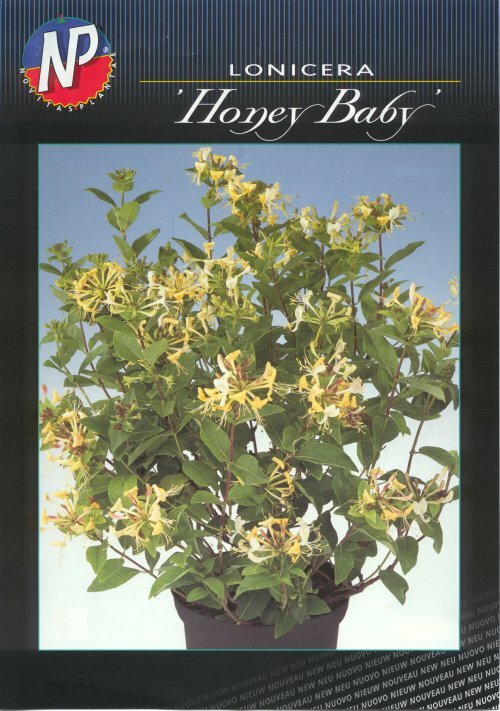 'Honey Baby® copf Pride of Place Plants Inc.
Lonicera "Honey Baby"® belongs to the family caprifoliaceae, the Honeysuckles. 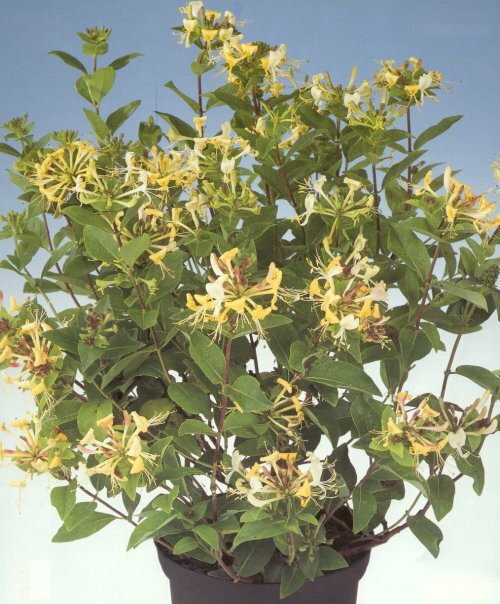 The honeysuckle is comprised of about 180 species including 32 species of climbers and is a native plant in the Northern Hemisphere. 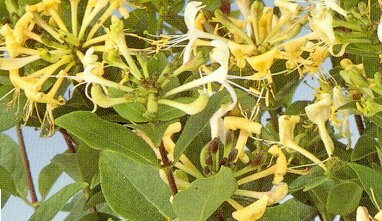 There are many cultivated varieties of honeysuckle. Two climbing cultivars, Lonicera japonica ‘Halliana’ and Lonicera periclymenum ‘Belgica Select’ were chosen and crossed to breed this relatively small bush plant called "Honey Baby" ®copf. The breeding process and selection took ten years and we think you will agree the resulting cultivar is a "must have" for any garden. "Honey Baby" t.m. produces a profusion of flowers all summer long, varying in colour from cream and light yellow to yellow. From dusk to dawn this honeysuckle spreads a very pleasant fragrance. The plant is somewhat winter hardy zone 4 and requires no special location. "Honey Baby" ® copf performs best if it is cut back each year, it is an excellent pot plant for the balcony and outdoor living space. It is most attractive planted as a low hedge and maintained at a height of 1.m /3ft.